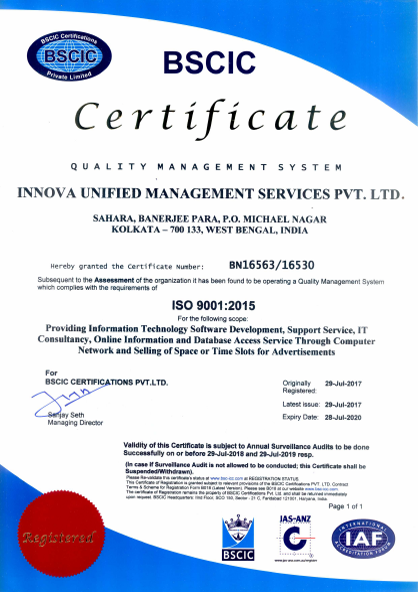 IT Consultancy | Innova Unified Managemnet Services Pvt. Ltd. The introduction of Cloud computing, mobility and Big Data have massively altered the business landscape. Turn the latest developments into competitive advantages with Innova’s consulting specialists, who can dispatch ingenious solutions by way of in-depth domain expertise and well-defined strategies. Experienced in multiple domains, we recognise the industry challenges of each client. We define, draft and execute strategies that create new revenue streams and check expenses. An unparalleled technology proficiency and industry experience lets us render feasible solutions that guide you to attain your business goals at an expedite rate. Partner with us to develop long- and short-term strategies to deliver sustainable results. Tell us your goals, skill needs and IT environment and leave the rest to us. Our custom software implementation and multiple systems integration increases performance and scalability. We pave the roadmap to guide operations and technology management that support your business. We incubate new competences in business application. 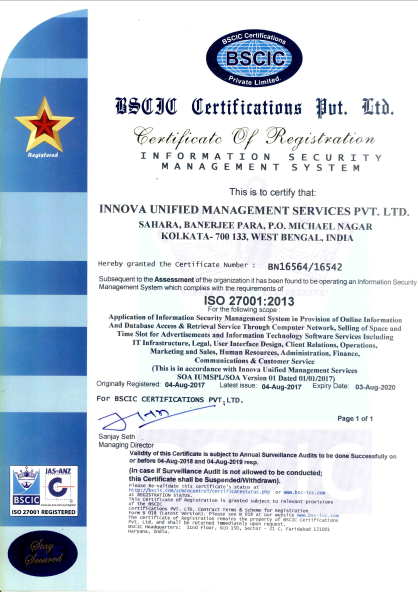 Protect your organisational software, data, identities and people with Innova’s information security risk management assistance in adherence to compliance requirements and best practices. Fortify intelligence frameworks and security governance. Opt for our services to modernise processes and enterprise functioning in the complex IT landscapes. Our service portfolio consists of end user support, IT service desk, enterprise systems & network management, cloud hosting, data centre consolidation and hosting and database services amongst others. If you are looking for premium business outcomes, enhanced decision making and customer experiences, our IT process offerings that include the use of analytics, data and AI are the right solution for your business. Refine, construct, consolidate and automate the workflow, service management processes, enhance efficacy and reduce costs. Streamline service delivery. End-to-end visibility into infrastructure using a single system of record for IT. At Innova, we offer flexible IT support choices from remote desk. Allow your internal staff to concentrate on major IT initiatives. Attain high ROI via global staffing model, which is cost-effective. Money-saving business model allows a cost-efficient solution. Experience and deep insight into complex technologies, processes from across industries. Dedicated advisory service with multi-threaded engagement model. Help you to handle modern technology-driven business model disruption challenges.